Are you looking for a fun new advertising idea? Look no further than our customized yo-yos! 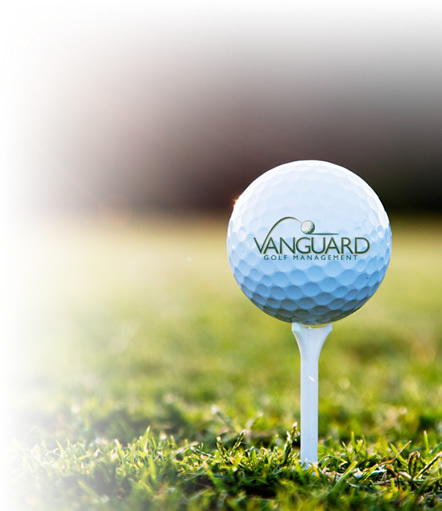 Our customized yo-yos will help you establish a good relationship with your customers. Who doesn’t like playing with a fun and entertaining toy like a yo-yo? 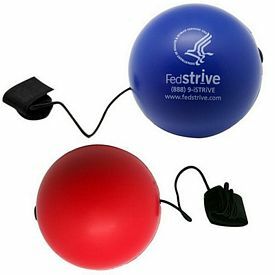 Promotional yo-yos make great stress relieving toys, and your customers will love receiving such simple and useful gifts from your company. 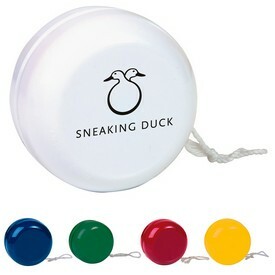 Custom yo-yos also make great promotional products because people take them with them wherever they go. 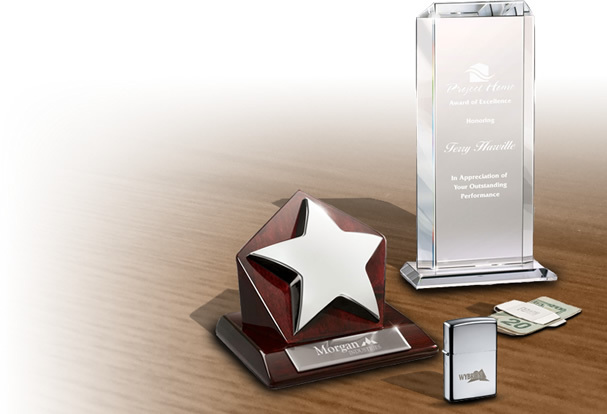 This means that your business can receive fantastic exposure. Kids love to play with yo-yos, and grownups remember these toys from their childhood. 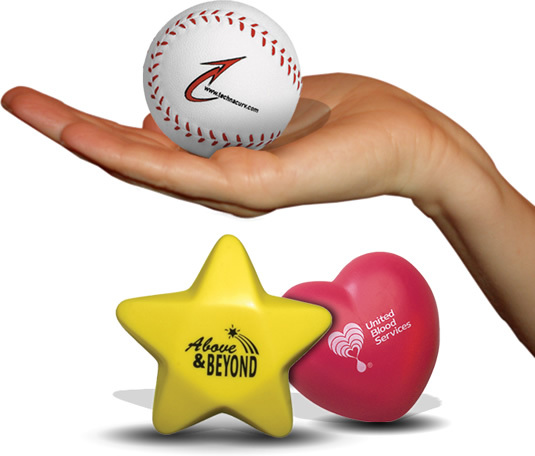 Our customized yo-yo's truly are the ultimate promotional tools. 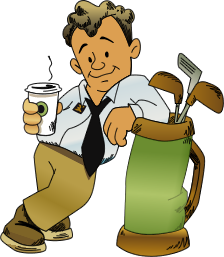 With just one product you can leave a lasting impact on all of your customers, both young and old. Our personalized yo-yo's are classic toys that will help you effectively promote your company. 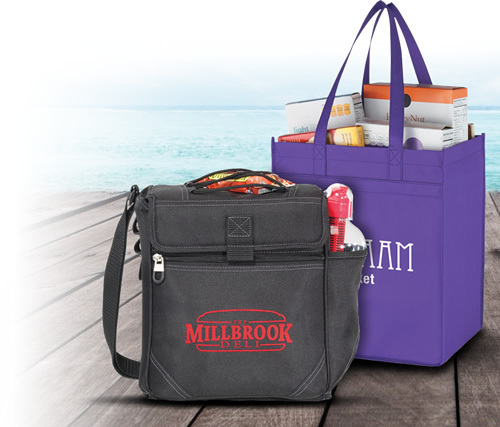 Your company message is bound to stand out when you advertise with these! We have a wide variety of promotional yo-yos to choose from. Our Classic Yo-Yo's come colored in either blue or red plastic and have approximately 3 ½ to 4 feet of string. The classic look of these custom yo-yo's will take your customers back to their childhood, and your customers will appreciate your company for providing them with such a nostalgic gift. 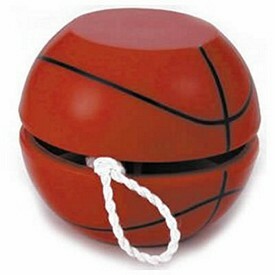 Consider using our customized basketball yo-yos for a fun promotional idea. 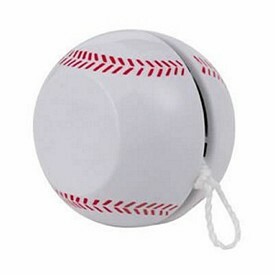 We also carry promotional light-up yo-yo's that will definitely catch your customers’ attention. 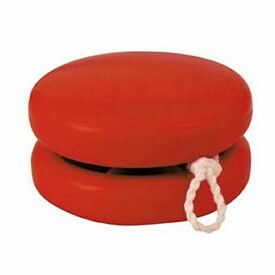 In addition to our customized yo-yos, we also sell novelty bounce back toys. These are a little bit different from custom yo-yos in that they bounce up and down on an elastic string, instead of coiling up and down a static string. Browse through our selection of promotional bounce back yo-yos to see which ones will work best for your company. 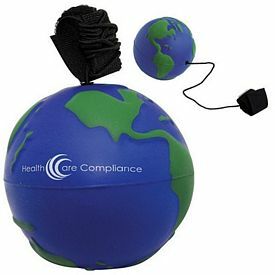 The custom Globe Yo-Yo Toys double as squeezie stress relievers. These personalized yo-yos are a great promotional investment since they serve a dual purpose. We also have many attention-grabbing custom yo-yos like pig and penguin shaped yo-yos. 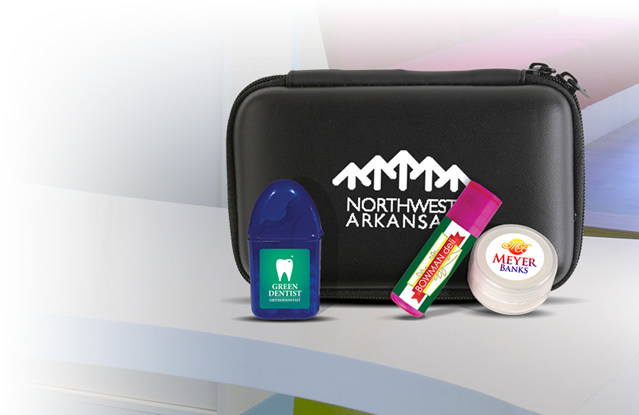 These promotional yo-yos are bound to bring a smile to your customers’ faces! Our imprinted yo-yos really do make great advertising tools. Customers of all ages will love these fun products, and your company’s reputation can only increase from giving away these customized yo-yo's. 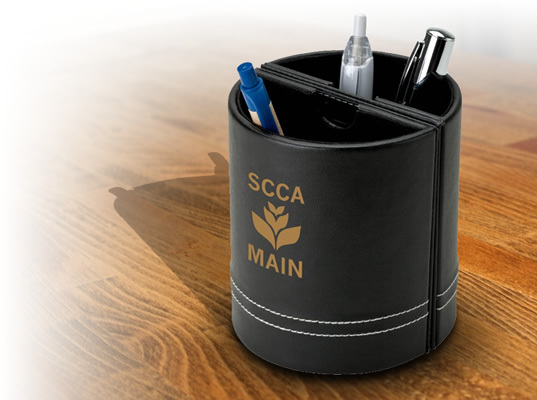 If you want to experience great promotional success, get personalized yo-yos customized with your company logo from The Executive Advertising. These imprinted yo-yos are timeless gifts that everyone will love to play with. Our custom yo-yos are also very affordable. In addition to our cheap wholesale pricing, we don’t charge any setup fees, which means that your promotional investment won’t break the bank. You should also be on the lookout for our products that come with a free 24 hour production rush. Our promotional yo-yo's are easy to stock up on and distribute, so what are you waiting for? Order Today!